The Park Pro Cube Cabinet is an impressive ready-made barbeque unit that is perfect for outdoor installations where space is an issue. 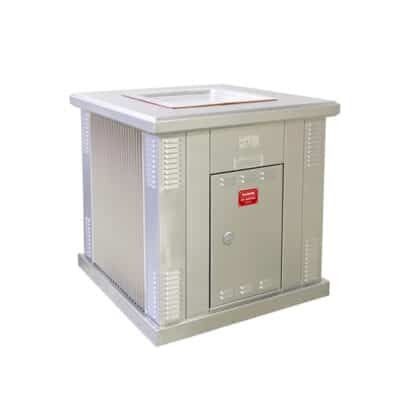 The compact cabinet shares the same robust features as the larger Single and Double Cabinet models such as durable stainless steel benchtop and stainless steel or powder-coated cladding options. Colour options are available for cabinets with powder-coated finish – visit our Finishes page for a guide to the available colour options. Please note that not all colours are available or are suitable for high UV exposure. Cube cabinets can be fitted with your choice of hotplate size. Choose between an electric Queen size hot plate or the impressively larger gas or electric King size hot plate. 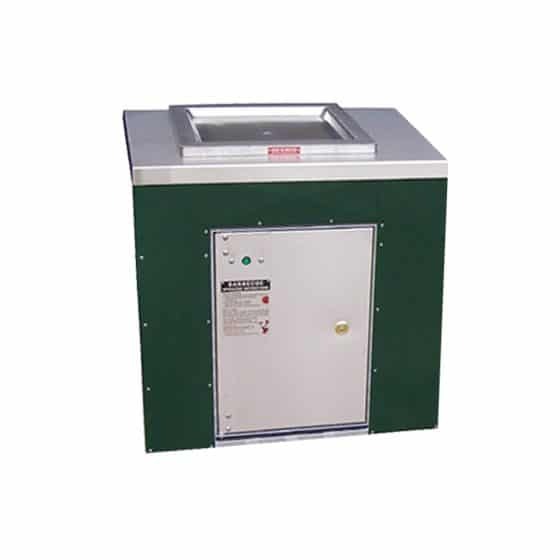 All standard King and Queen size hot plate units come with push-button operated ignition – key or coin operation options are also available. Why not take a closer look at all the great features of the Park Pro Cube Cabinet Park BBQ and get in touch for a free quote today. Public area BBQs often experience issues with misuse which are commonly caused by the overall design of the BBQ unit or because of incorrect use by inexperienced or careless operators. Below are some important factors to consider when choosing a BBQ for your new or existing BBQ installation. Domestic style BBQs usually run on gas with controls located at the front of the BBQ which can be easily reached by children. Misuse of gas BBQs can occur if the gas valves are accidentally or deliberately left on causing you a loss of gas but also creating the potential for a fire or explosion. Misuse can occur by leaving the gas running for too long before attempting ignition creating the potential for an explosion and/or burns. Misuse can be in the form of leaking connections on bottles or in the piping. 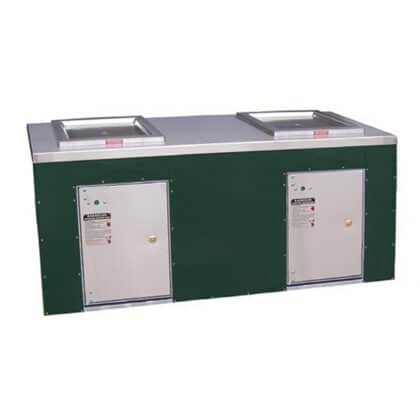 Contamination of gas burners can cause improper flaming of the gas resulting in a possible fire hazard. All of the above issues have happened and are very real factors to be considered. If you are an operator or provider of public access BBQ facilities we strongly urge you to consider these issues from the point of safety and also your liability. No one wants to see people, especially children, injured in any way and particularly if it can be easily avoided. All of our BBQs are made to conform to Australia standards but in addition our Commercial style BBQs are specifically designed with inbuilt features that lower the risk of the issues outlined above. Although they are more expensive than their domestic counterparts, they will certainly provide an increase in the overall level of safety. Designed with the safety features inbuilt to avoid all but touching a hot plate. Fitted with an inbuilt timer which means the BBQs cannot be left on indefinitely. Gas cannot be left running and incorrect ignition is not possible by design. Simplistic operation means essentially all the operator needs to do is press a button and the rest is under your control. Key operation and coin-operation is available for extra control. Specifications and features can vary slightly between BBQ models – please refer to the individual details for each BBQ for full information. We always recommend that children are fully supervised by a responsible adult in areas where a BBQ has been installed. It remains the responsibility of the BBQ owner to ensure that the BBQ is installed according to the instructions provided and that the condition of the BBQ is kept clean and in good working order. Our great range of Park Pro outdoor commercial park BBQs are proudly 100% Australian made and built tough for Australian conditions. They are designed with durability, ease of use and minimal maintenance in mind. 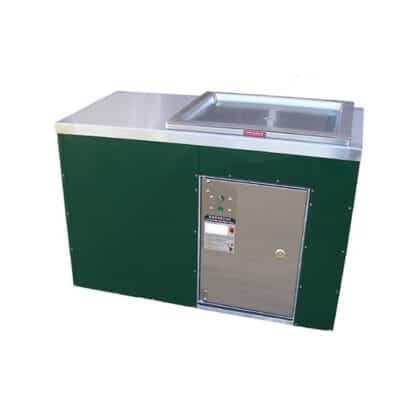 Park Pro products are manufactured using quality commercial 304 grade stainless steel for hotplates and benchtops and mild steel framework which is hot-dipped galvanised after construction to minimise corrosion. With over 35 years of experience building barbeques for the great Australian outdoor climate, all of our Park Pro designs have been tested in service for many years. Park Pro products are backed by a 2 year commercial warranty* and come with full parts back up. If you would like more information about the Park Pro product warranty please contact us and request a copy of the full warranty terms and conditions. Generous cabinet with one BBQ plus additional bench space. Also available in stainless steel & other colour options. Large impressive cabinet with two BBQs plus serving area. Also available in stainless steel & other colour options. We are a small family run enterprise that has at its heart the goal to serve our customers to the best of our ability. As an all Australian company we have built our reputation on personal service, not only at the point of sale but all the way to delivery and beyond. Subscribe to our newsletter to keep up to date with our latest product news and projects. © 2007-2019 PARKQUIP® (ABN 65 034 252 031). All Rights Reserved.